Summer is that time of year where EVERYBODY decides to take a vacation. And why not? Kids are out of school, the weather’s nice, it’s just the perfect time! We just got back from vacation ourselves. One thing we realize right off the bat is that vacationing is expensive. The hotels, the traveling, the eating out, the tourism… it really packs a punch on our bank account! 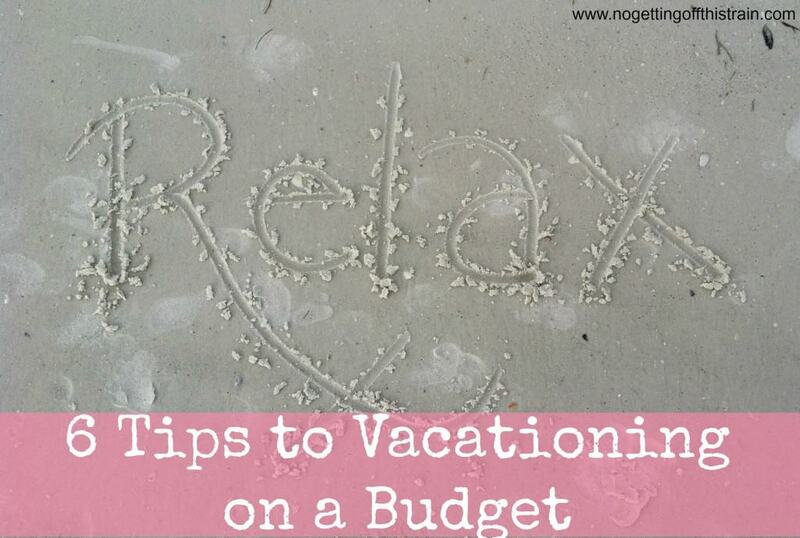 I have some tips on how to vacation on a budget and make the most of your money! We’re a family of 3, so our numbers/plans may look different from yours, but take what you need from this! 1. Make a budget: I know this should seem obvious, but I’ve made mistakes while planning (or not planning) vacations! One of the first trips John and I took together was Niagara Falls, and I did pretty much zero planning when it came to food and entertainment. We got a good deal on the hotel, but didn’t bother doing much research on what we could do there. Pay $20 each to look at some Lego buildings? Sure! Yes, I’d love to spend a lot of money at the Ripley’s Museum! I don’t even remember how much we spent; it’s okay to spend a lot of money, but make sure you create a budget! Our next vacation was in Pidgeon Forge, Tennessee, right outside Gaitlinburg. This time we had a plan! We knew we wanted to eat out a couple times, and do a few specific attractions, so we budgeted money to each category and we stayed right on budget! 2. Plan your schedule/events: Now that you have a budget, you need to figure out what you’ll do while you’re there! Are you going to a place with lots of tourist attractions? Small town or a large city? There’s no need to plan a strict schedule, like “Monday we HAVE to do X, Y, and Z!”, but at least make a list of all the things you want to do while you’re there. Do you plan on visiting any zoos/museums while you’re there? Look into getting a membership! When we went on our most recent trip to New York, we looked at getting a membership to our local children’s museum. One of the membership levels gave us reciprocity to other museums in their network, including a children’s museum AND a zoo in New York! Our local museum gets us in for free, while the two attractions in New York gave us a 50% discount. We paid $135 for a family membership, and between our trip to New York plus our weekly trips to our museum, the membership’s paid for itself! Another thing similar to the above: If you’re visiting a large city with lots of tourist attractions, look into getting a city pass or something similar. When we went on our honeymoon in Atlanta, we purchased a city pass that gave us free tickets to 5 attractions in the area, including the Coca-Cola museum! That was much cheaper than trying to pay for each one individually. 3. Make a packing list: This is something else that may be obvious, but it’s so easy to think you have everything only to find when you get there that you forgot toothpaste, or your hairbrush! If you make a list ahead of time, you’re less likely to forget something, and less likely to spend money on those things! What John and I have done is keep a permanent list on Google Docs and just edit it as needed; that way, we always have the list available and can access it from anywhere. 4. Bring lunch/snacks during the car ride: One way to save money is to bring your lunch with you! You can pack sandwiches or snack-like items like cheese, crackers, and salami, and keep them in a cooler. On our most recent trip, we brought a bunch of Goldfish crackers and animal crackers, and our cooler was filled with lunch meat and sliced cheese to go with the bread we bought. And don’t forget drinks! Bottled water is great, but even soda is fine as long as you don’t buy the single bottles. One 20-ounce bottle of soda is around $1.39, but you can buy a 6-pack for less than $4.00! Just buy in bulk and stick them in your cooler. 5. Cook meals at the hotel/wherever you’re staying: If this is feasible for you, I highly recommend it! I’ve taken vacations where we’ve both eaten out the entire time and cooked almost every meal, and I definitely prefer cooking. Eating out is awesome, but it gets so expensive! Plus, it’s much healthier. I know I’m more likely to buy healthier ingredients when I cook, rather than picking the most delicious (but fattening) entree on the restaurant menu. Honestly, even picking up a take-and-bake pizza from Wal Mart for like $6.00 would be much cheaper than ordering delivery (and Wal Mart pizza is really good!). 6. Keep an eye out for cheap airfare: If you’re flying, this could be your biggest expense. But if you’re planning your trip awhile in advance, you can keep checking to see if prices drop! A few sites like Skyscanner can send you alerts when the specific flight drops in price. We did this with our honeymoon trip and were able to score a lower price because of it! Also, check out other airports in your area. It’s possible that an airport an hour away could have way cheaper prices than your local one, so decide for yourself if it’s worth it to drive further. Do you have any tips to save money on vacations? Share with us below! Good tips for budgeted minded families. This means more can consider taking a vacation! These are great tips! Definitely pack a lunch whenever you can. My boyfriend & I recently took a trip to the San Diego Zoo and it was around$30 for 2 burgers, fries, and cokes….sheesh. I didn’t realize we could picnic there. Other great budget tools (I guess you can call them that) I use are Groupon, LivingSocial, and DealChicken. Most recently, I took my niece to a butterfly conservancy and found two tickets for the price of one through one of those sites. 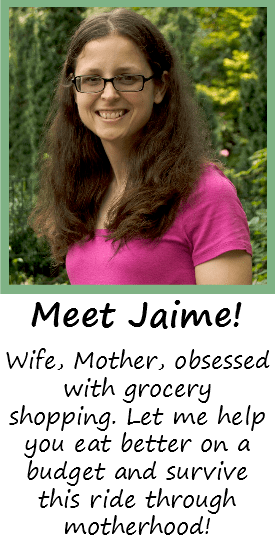 Wonderful tips – especially simple things (which I forget all the time) such as packing food for the car ride – or most of all – packing “toiletries” and sun screen, etc. – because I have found when I forget that – it is quite expensive buying a lot of that stuff “on the run.” Great tips! Thanks! My biggest money saver is actually where we stay. My husband and I have been to London, Paris, and Costa Rica within the last year and we’ve saved over $5k by using AirBNB and just renting out condos. It’s changed the way we travel and we’re able to do it so much more often now because of the savings! These are some really great tips. I’m the worst at remembering to pack snacks. I always just end up buying stuff and that really DOES add up. These are gret tips! I especially love the tip about packing your snacks and lunches ahead of time for car rides! When we go to the beach we like to grocery shop once we get there and cook our meals in the condo to save money on food. It really does make a difference. Great tips! We will be traveling by car soon, and will be packing food ahead of time! Love your tips! Since I mostly travel solo, I love taking red eyes to my destination since it saves me for spending on an extra night in a hotel., and I have no trouble sleeping on the plane. I also pack a ton of snacks!